What about privacy on WhatsApp? What about the small print that we usually fail to read? What conditions do we accept when we begin to use WhatsApp? Do you want to know more about WhatsApp’s privacy settings on your iPhone or Android? Messaging apps collect a lot of information. For starters users message each other as individuals or via groups. Where do you think these messages are stored? Do you know which entities have access to these messages? Not only that, users’ share videos, GIFs, documents, photos and audio files. They usually do so with the goal of letting other users enjoy the same content they have. Problem is no one knows what happens at the data centers. This does not mean that something illegal happens, make note of that but since users don’t have access to data centers, well you have to wonder. 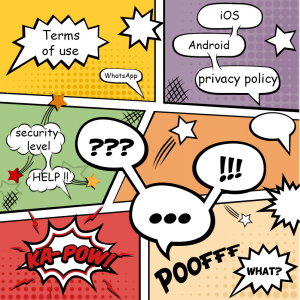 In November 2014, policy makers, security professionals and watch groups raised an alarm regarding the amount of data being gathered by messaging apps. To top it all, the media uncovered through whistleblowers that intelligence services were accessing users ‘data without their knowledge. 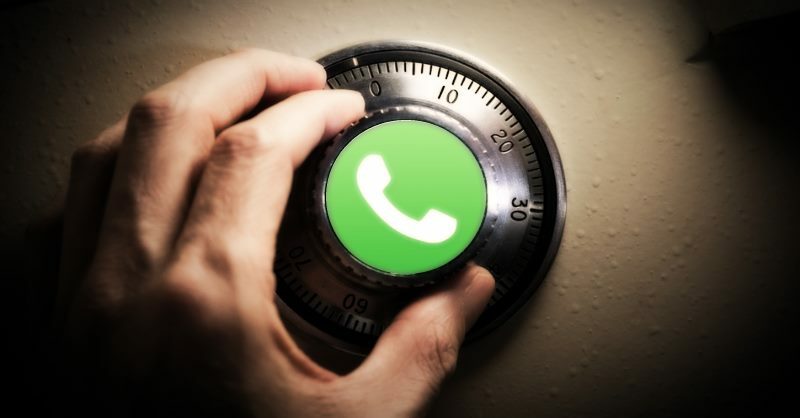 To prevent this, WhatsApp security developers worked with Open Whisper Systems finally incorporating end to end encryption by default for all platforms. This resulted in messages being encrypted between users making it even inaccessible to WhatsApp developers. As a result, users were protected. 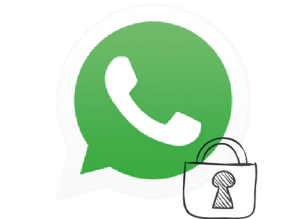 To ensure ultimate protection, WhatsApp security incorporates the Signal Protocol even today. The changes became in effect as of August 25th 2016. We have highlighted the most important aspects. WhatsApp has confirmed that they have the ability of seeing the “last seen” and registered users contact information. WhatsApp has added new capabilities to its platform for example allowing users to purchase airline tickets, have access to flight information as well as receive notifications for online orders. The messaging platform is also planning to encourage businesses to utilize the app as a marketing tool. Since its inception, WhatsApp privacy guard developers have made it clear that ads (banners and text ads) will not feature on its platform. Seems they will be maintaining this feature. WhatsApp has added the ability of disabling the sharing of information with other apps. This feature is available via WhatsApp settings. When WhatsApp was first developed, its focus was on messaging. It was supposed to make messaging way cooler than SMS. As time went by, the developers had to incorporate new features. This was done to ensure the messaging app stays attractive to its users. As a result of the many upgrades, users are able to share documents, photos, contacts, audio files, GIFs and videos. That is not all. Recent changes have enabled WhatsApp users to add filters to videos and photos making them attractive. Furthermore, WhatsApp now allows the creation of albums by grouping more than 5 images into an album. This feature is available right on the messaging platform. To prevent hackers from accessing your chats, here are 8 killer tips to help you protect yourself. You may have noticed that when you activate WhatsApp, you immediately have access to the app’s features. Just imagine if your phone was stolen or got lost? Furthermore, a friend or relative may request to call someone with your phone only to end the call and start using your WhatsApp without your knowledge. They will browse through the photos, videos, chats and contacts among others. This is not good as it compromises your privacy. Since WhatsApp developers are yet to incorporate a password or pin protection, you can protect yourself using third party apps. These apps allow you to lock other apps and features of your phone. The only way one can access them is by inputting the correct password or pin. For Android users, use Applock and for iOS users, use Master AppLock. We all share photos and videos with family, friends and groups on WhatsApp. Problem is the app saves the photos in a folder on your phone. This folder is accessible via gallery and allows snooping users to see photos you have shared with others on WhatsApp. The good news is that you can prevent this. If you are using iPhone, you can fix this WhatsApp privacy issue by navigating to WhatsApp privacy settings, select Chat and uncheck Save to Camera Roll. The last seen feature was added so that users can know when another user was last online. Problem is the feature can lead to stalking. Can you imagine someone stalking you online? What will happen is that the other user will always see when you were online. To hide this feature, simply go to Settings>Account>Privacy and set last seen to Nobody. What you need to know is that the feature will activate for others too. Today, the internet is full of trolls. It is common to find users opening social media accounts using a celebrity’s name and picture. They end up tweeting or posting messages that are full of hate and malice to others. What people will see is the celebrity’s name and picture so they will assume he or she is the sender. This will definitely affect their reputation. What you need to know is that the same can happen to you. To prevent accessibility to your profile picture, go to WhatsApp privacy Settings>Account>Privacy>Profile Photo set My Contacts and not Everyone. Messaging apps are prone to scammers who are seeking private information like banking details and others. To ensure that you are well protected, never send photos, videos, voice message or chat with users not in your contacts. Always keep your eyes open for scams. As said earlier, it is very easy to lose your phone. Furthermore, it may be stolen without your knowledge. When this happens, many people rush to replace their SIM cards forgetting about the data their phones have. To prevent unauthorized users from accessing your WhatsApp, deactivate it on a different phone with the new SIM card. Furthermore, you can delete your account via settings. Most users assume that just because they are behind a smart device, they are safe. What many users don’t know is that some of their messages may be shared with other users without their knowledge. That is why it is advisable to be careful what you send. This helps to prevent hackers from stealing your conversations or performing other ill-intentions. It is important to remember to log out from WhatsApp web app. Doing so will prevent unauthorized access to your account. We’re talking about those clauses written in small print that we find in each digital product. You must be 13 years old to use WhatsApp or get parents’ permission. You cannot use the app in a country under US embargo, nor in any country that supports terrorists (WhatsApp is not with terrorists). WhatsApp does not assume any liability for the content, privacy, and the actions of third-party websites. So if you click on a link that contains a virus, you are solely responsible for the consequences. It is not allowed to reverse engineer and alter or modify any part of the service. This was the reason why WhatsApp Plus was blocked. The app has the right to periodically access your contact list to locate new numbers to send and receive messages with them. Now that you have learned 8 new ways for protecting your WhatsApp account from hackers, scammers and unauthorized users, it’s time to implement the changes. Remember, hackers and scammers come up with new methods to steal your data.